When you’re visiting the North of India, it’s highly recommended that you include the Golden Triangle – Delhi, Agra and Jaipur. With this article we will explore the focal points of Agra. For Delhi, please visit part-1 of this series: Golden Triangle of India : Delhi-Agra-Jaipur &#8211; Part-1 and for Jaipur visit part-3 Golden Triangle of India : Delhi-Agra-Jaipur – Part-3. 200 km south of New Delhi, on the banks of river Yamuna, Agra was a powerful Mughal capital over three centuries ago, and the most important city in northern India. Today, although it’s known for being the site of one of the wonders of the world, the Taj Mahal, Agra has more to offer to tourists. Several timeless architectural wonders were born in the city, bringing it much fame even then. 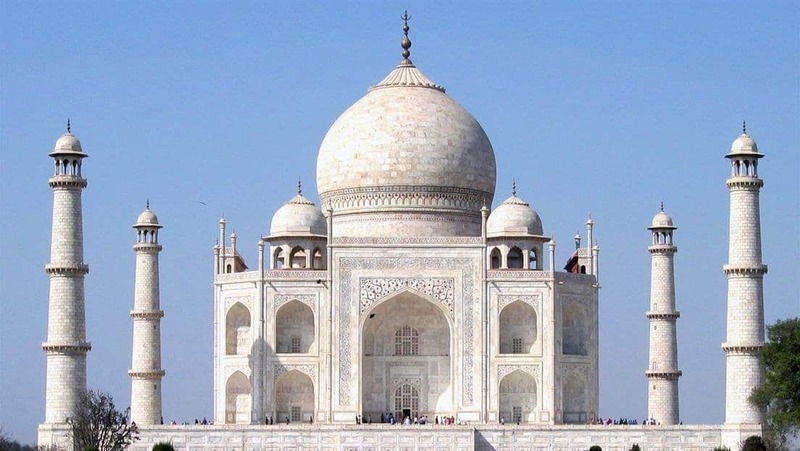 First the beautiful Taj Mahal – a monument to love, the most photographed one in the world. Built in the 17th century by Emperor Shah Jahan, the Taj is a symbol of romance in marble , on the bank of the river Yamuna. Legend has it that over 20,000 skilled workers labored for over 22 years to create this wonderful citadel. Then, the exquisite Agra Fort- built in red sandstone and as much a symbol of Agra as the Taj. This semi-circular fort was built centuries before the Taj, in 1574, almost ten years after being commissioned by Mughal Emperor Akbar. And last, but not the least, Fatehpur Sikri- an architectural jewel built by Emperor Akbar and dedicated to a revered saint. Built in the 16th century, Fatehpur Sikri is a city made entirely of red sandstone. Stunning in sunlight and at sunset, the city has Saint Salim Chisti’s tomb, mosques, palaces and courts, created with precision and imagination. Visit the Taj Mahal, on of the world’s wonders. Visit the Agra Fort, one of India;s finest Mughal forts. You must go to nearby Fatehpur Sikri, an erstwhile capital of the Mughal Empire. On the way to Fatehpur, stop by the Korai tribal village and experience daily village life. Stroll around Mehtab Bagh, opposite the Taj and enjoy the wonderful view. Walk around Kinari Bazaar, in the old city behind Jama Masjid, and shop for spices, sarees, shoes and traditional arts and crafts. Visit the Agra Bear Rescue Facility that houses hundreds of rescued and rehabilitated sloth bears. Also stop by the Soor Sarovar Bird Sanctuary with nearly 50,000 waterbirds and rare storks.